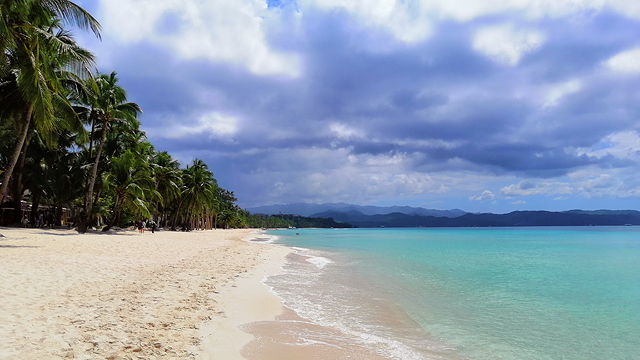 It's home to the Philippines' newest Inflatable Island. 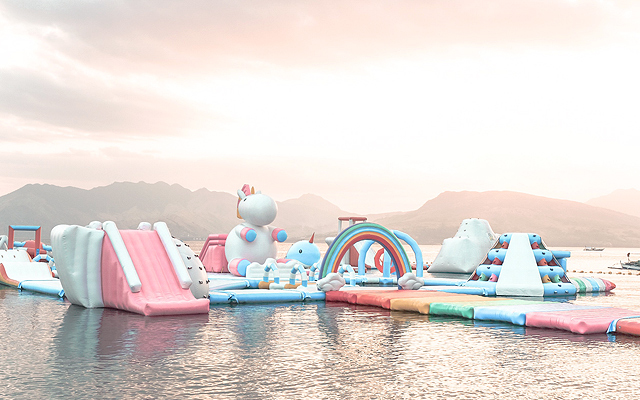 (SPOT.ph) When the Inflatable Island—dubbed as the Philippines' biggest floating playround—opened in April 2017, adrenaline junkies drove all the way to Subic in Zambales to make their Wipeout dreams come true. The extreme obstacle course, from wobbly logs to slippery slopes, was a fun way to make the most out of a summer adventure. From the makers of this waterpark now come another attraction, Happy Beach in Mactan, Cebu. It is set to open on December 15, while Inflatable Island Cebu is scheduled for lauch in January 2019. 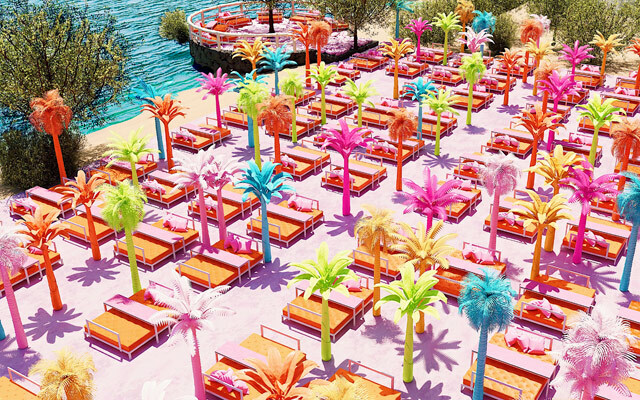 Happy Beach features a 16-room boutique hotel where beds and furniture are in various shades of pink (yes, millennial pink included), a colorful hangout by the shore called Happy Jungle Lounge, a dreamy pink-tiled swimming pool, and a bigger and better Inflatable Island. The new floating playground has an equivalent size of nine basketball courts—a whole court bigger than the one in Subic Bay. It also has a giant slide with a height of over 10 meters called "The Big One." Though it's still months away from opening date, early birds have the chance to book discounted tickets online: A one-hour pass at P299, a two-hour pass at P499, a half-day pass at P699, and a whole day pass at P1,299 which comes with lunch. 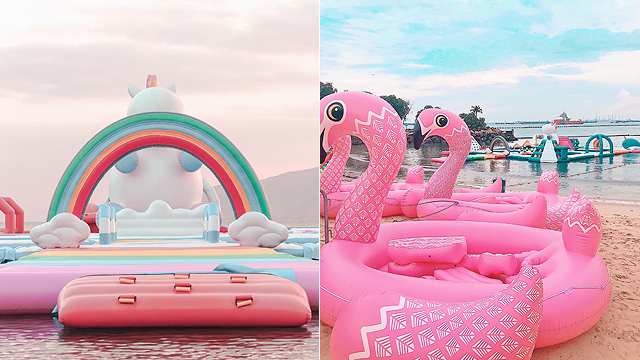 On top of the timed play passes to the Inflatable + Unicorn Island, the package also includes whole-day access to Mactan Beach, Bali Lounge, Animal Cabanas, and the Floating Zoo. Happy Beach is in Mactan, Cebu near Angasil Port. 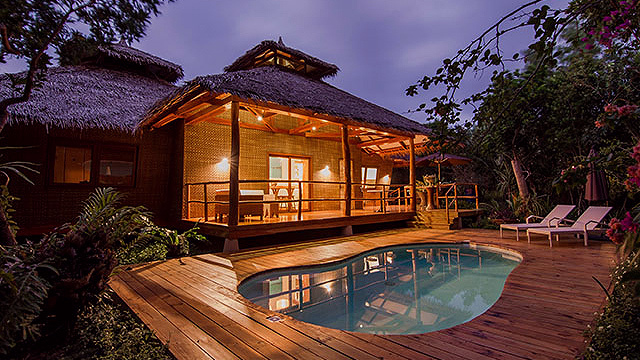 For more information, visit Happy Beach's website.